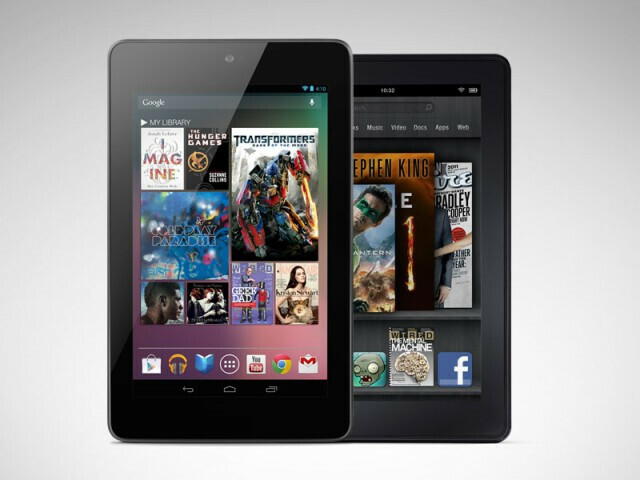 What do MMA fighter Georges St-Pierre, three ninjas and the Google Nexus 7 have in common? Not much if you view this official Google video. If we learn anything from the video, besides the omnipresent "Respect Yourself. Respect Others" poster in the background of almost every shot, is that the Google Nexus 7 can stand up to an attack by three ninjas. Did we mention that Patrick Boivin was behind the video? So is this an unboxing video? Well, in the sense that a box containing the Google Nexus 7 is opened and the tablet is taken out, yes. But it is not traditional and since there is no mention of the tablet's specs, we would be more than happy to pass them along. We'll start with the 7 inch IPS LCD screen with a resolution of 1280 x 800 and a pixel density of 216ppi. Under the hood id a quad-core 1.3GHz Tegra 3 processor. The NVIDIA GeForce 12 core GPU handles the graphics/ 1GB of RAM is on board along with 8GB or 16GB of native memory. Unfortunately, the lack of a microSD slot means that is all the storage you get. The front-facing camera takes self-portraits and enables video chat. Android 4.1.1 is installed. The 8GB model of the tablet will cost you $199 while the 16GB version is priced at $249. On the Google Play Store, the shipping time was cut yesterday to 1 to 2 weeks from 3 to 4 weeks meaning that we should see units shipped during the first half of this month. If you buy the tablet, just watch out for the ninjas. LOL!!! LMAO!!! Apple sent ninjas, but it backfired... they were converted to Android. The video doesn't reference apple anywhere? How do you know they're not anti UFC fans? Galaxy Note owner :) Very happy btw. AGH!!! I really want one of these but for me, no SD slot is just a no no. Just gonna have to take a look at the next best thing from Asus I guess.